Three specialized Sports promotion Companies, with a good number of years producing multi-sport events around Mexico, have joined forces to grow stronger the Challenge Family brand and Series in the country and in North America. 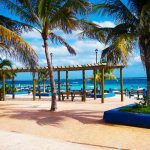 It is the beginning of a new era of Triathlon in Mexico. 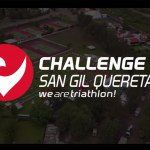 On the 21st of June, Challenge Mexico, launched 2 important events, Challenge Baja and Challenge Cancun along with Challenge San Gil, the serial has now 3 events and 2 more that will be added in 2019.